This is very exciting. I’m doing a book signing for Gates of Stone in London on Saturday (February 16). Come along, say hello, and buy a copy of my epic fantasy debut. The novel, if you don’t already know, is sort of Games of Thrones in Asia. And I think it’s possibly the best thing I’ve ever written. To find out more about the book, or to buy an unsigned copy from Amazon, click here. The book signing is at the Forbidden Planet Megastore, 179 Shaftesbury Avenue, London WC2H 8JR, and I’ll be there from 1pm to 2pm. Do come along. If you want me to sign copies of my other books, I guess that would be OK, but you should probably buy a copy of Gates of Stone at the same time, so we don’t piss off the store too much. 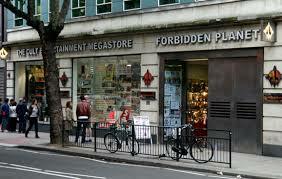 Here is a link to the Forbidden Planet site.